Online video producer is an interesting role. 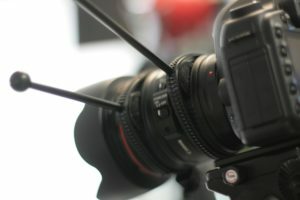 The simplest way to determine if an online video producer is needed is to ask a different question – Do I have an online presence? If the answer is ‘yes’, then the answer is also ‘yes’ to the question of video. It’s really that simple. Therefore, there are now almost no circumstances where video will not enhance the message you intend your website to deliver. What used to be described as surfers are now more often called viewers, akin to TV viewers. And they behave like viewers; consumers who vote with their feet as soon as their discerning taste is compromised. When you initiate a web site, you are create a portal through which your key messages can be delivered. Nice, positive images, up-beat text extolling the virtues of your service or product. So, viewers will only read so much before they start to get restless. They need the info and they need it fast. That’s where an online video producer can help. Also, if a picture paints a thousand words, then how many words can a moving picture with commentary paint? The key job of the online video producer is to take all the key messages you wish to put out there and sublimate them into short, easily understood video. Script writing is an essential part of this – in the old days they called it ‘copy writing’ – as it is the bedrock of the video and everything else is built upon it. An online video producer will have a good knowledge of scriptwriting and/or experience in interpreting good scripts. Take a look at this example. One good rule to bare in mind is to use moderation when putting the information in. A video is at its most effective when it appeals to the emotion rather than bombard the viewer with hard to remember data. What you’re really pushing is concept, the choice information will sit inside a broader message and, so, be much better taken in and retained. Stay tuned (sic) for the next episode where i’ll go a little deeper into the process. Here’s an example montage of some of our work.